Vern Edward Hedegaard passed away on December 23, 2011 in Salt Lake City, Utah after a long battle with cancer. He was born in Glendive, MT on October 4, 1949 to Marion T. "Red" and Lora Simard Hedegaard of Billings, MT. From the age six he traveled extensively overseas with his family and from grades 1-12, attended nine different schools, including Nepal and Korea. 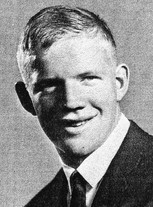 The family returned to Montana and Vern graduated from Billings West High School in 1967. He served in the U.S. Army from September 1967 through May 1971, and as a combat medic in Vietnam, he was awarded the Bronze Star and Combat Medical Badge. After his military service, he served in the Peace Corps in Thailand. He settled in Salt Lake City, graduated from the University of Utah in 1977 in Nursing, and earned his Master's Degree in 1982. He started working at Salt Lake Regional (then Holy Cross) in 1978 as a Registered Nurse until his retirement in 2010. Over those 32 years, he primarily worked in the Emergency Department, but assisted wherever he was needed. He was a strong, calm, and compassionate nurse, loyal to his coworkers and caring to his patients. Vern married Robyn German Hunt in December, 1974. They had one child, Jennifer Ann Hedegaard, and adopted Robyn's son, Tod Galpin (Hedegaard). Vern and Robyn later divorced. In 1989 Vern married Deborah Cummings, his loving and loyal wife. Together they owned and managed several rental properties in Salt Lake City and enjoyed helping raise Vern's grandson, Tristan Dahle Hedegaard.